Fill out the form below to transfer your balances! If you do not have a SCCU VISA credit card, click here to learn more and apply online! *You agree to allow 30 days to process your request, pay the amount(s) authorized and transfer the balance(s) to your Soo Co-op Credit Union credit card account. 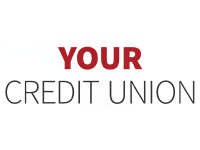 You may transfer up to your Soo Co-op Credit Union Visa available limit. Please continue to make minimum payments on you other credit card(s) until the balance(s) have been transferred. All over payments must be refunded my the other institution. Payment of the amount(s) authorized by you may or may not satisfy any outstanding balance(s) on the designated account(s). Soo Co-op Credit Union is not responsible for any remaining balance(s) or additional charges with regard to such accounts, nor for any changes resulting in any delay in the payment and transfer of balances. The total amount(s) transferred will be treated as a cash advance; finance charges will be applied from the day the balance(s) are transferred to you Soo Co-op Credit Union card account. Soo Co-op Credit Union reserves the right to refuse multiple transfers from the same credit card. Transferred balances do not qualify for air-travel or cash rewards under the VISA Platinum Rewards Program.